The drivers' championship is traditionally a fiercely competitive affair, and as such provides some good betting opportunities. With little to choose between the performance of the cars of the main contenders, and with such a short gap between the end of one season and the beginning of another, the previous season's form can be taken quite literally when planning an ante-post bet. If this is your cup of tea, look for a driver with proven ability who underperformed in the previous season for some legitimate reason. Maybe he was spending the year settling into a new team. Perhaps mechanical problems or accidents early in the season cost him his championship chance, but he finished the year strongly. Certainly there is little point backing the ante-post favourite, as due to the schedule of the season - as we mentioned before it starts with two one-off events which traditionally bear little relevance to the rest of the year - it is highly likely that a better price will be on offer later on. Throughout the year, the drivers market will fluctuate greatly, and canny punters can build up a portfolio which should guarantee a profit come the end of the year. There are a few things to watch for if this is your aim. Teams don't generally start the season with the latest development of their car - rather they will use the one they finished the previous season with. Unfortunately, exchange punters have not really taken to rally betting yet, but if and when they do this is just this sort of thing that will make it popular with traders. The bookmakers tend to price up rallies on the strength of past results. Nothing unusual about that you may think, but in this sport the final result rarely tells anything like the whole story of the event. Quite often the best formguide to come out of a rally is the number of stage wins picked up by each driver, but you should also take into account such factors as the order in which the drivers ran on the road, any non-terminal mechanical problems, and time penalties picked up (a far from infrequent occurrence). The winner of the event is there for all to see, but the point of the above is to pinpoint drivers who could have won under other circumstances, or at least whose performances were much better than the final result would suggest. Such information is readily available from a quick study of www.rally-live.com or www.wrc.com or by watching the one-hour show on ITV on the Sunday of each rally. Make a note of an eye-catching performance and try to work out when it can be used to your advantage as a punter. Because of the nature of the season, it may be necessary to wait a while before the information in your armoury becomes useful. Pointers gathered from a rally will only be relevant in a similar event and may not work out in the following rally on the calendar. 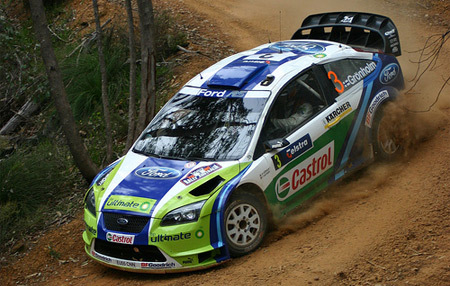 For example, on the 2004 schedule the New Zealand Rally is followed by Cyprus, Greece, Turkey and then Argentina. New Zealand is a fast, flowing gravel rally, and form pointers gleaned from there are unlikely to be of use in the following three low-speed, twisty road events run on a very rough surface. Our advantage is that when the circus arrives at Argentina, most layers' prices will probably be heavily influenced by the results in the three previous events, while in reality the New Zealand form is likely to prove more relevant. This sort of thing is also responsible for the wide difference in opinion observed between the different bookmakers, and you will quickly learn which layers are more prone to make an oversight and offer inflated, value prices. Similarly, towards the end of the season, the fast gravel event in Sardinia is followed by a pair of asphalt rallies where the Italian form will be of little use, but punters could find it worth consulting for the season-ending Australian Rally. © 2008 bookmakers 1.com, all rights reserved.